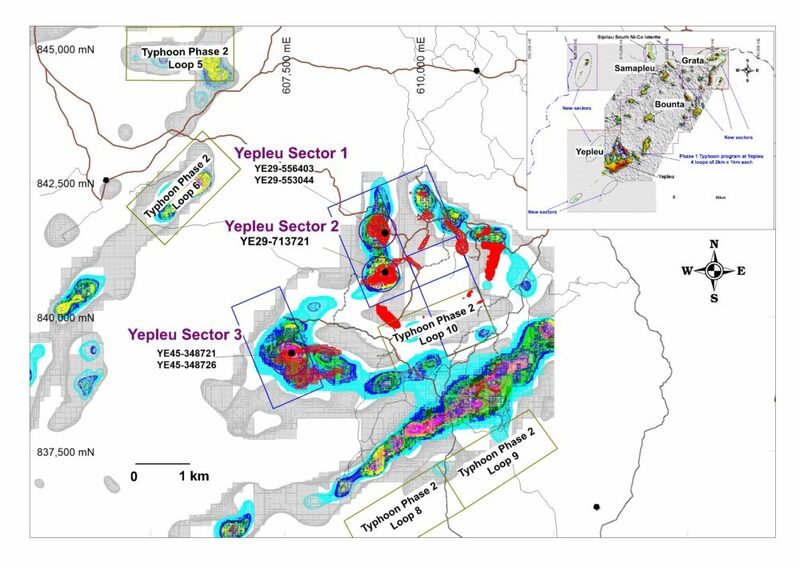 Sama Announces Intersection of 54 metres of Mineralization Ranging from Disseminated to Semi-Massive and Massive Sulphides – Initiates Phase 2 Typhoon Geophysical Survey at its Yepleu Nickel-Copper-Cobalt-Palladium Project – Sama Resources Inc.
Montreal, Quebec – April 04, 2019 – Sama Resources Inc. (“Sama” or the “Company”) (TSXV: SME | OTC.PK: SAMMF) is pleased to announce that a second hole drilled at Yepleu Sector 1 as a follow-up on the mineralized zone intersected on the first deep hole (ref: press release of December 12, 2018) returned a mineralized zone of 54 metres (“m”) of disseminated to semi-massive and massive sulphide material from 585 m to 639 m from the surface. Assays results are pending. 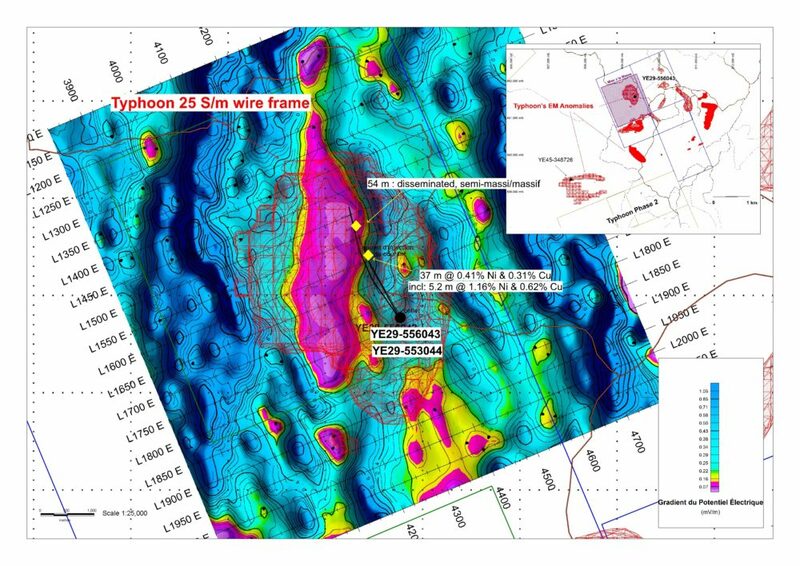 Figure 1: Surface map at the Yepleu prospect showing the Phase 2 Typhoon program together with boreholes drilled to date. Borehole YE45-348726 is current and has not yet reached the target zone (ref to Table 1 below). Figure 2: Surface map at Yepleu Sector 1, showing the target zone as defined by Mise a la Masse and Typhoon results (ref: Press Release of March 12, 2019) together with the recent borehole’s intersects.